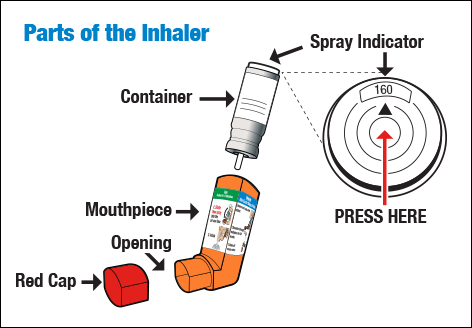 First time you take a new inhaler out of the box, “Shake then test spray into the air.” Repeat both actions 4 times. Shake then Spray into the air 1 time before each inhalation. Wash inhaler after each day of use. Run water through the mouthpiece for 30 seconds. The Primatene® MIST mouthpiece should only be used with the Primatene® MIST container. It is normal for the mouthpiece to change color over time.